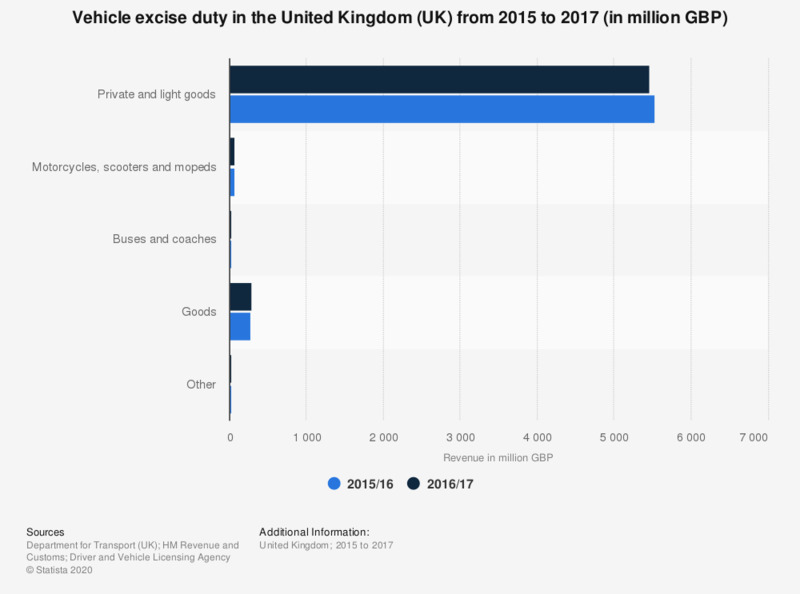 This statistic shows the sources of revenue from the vehicle excise duty, or road tax, in the United Kingdom (UK) in 2015/2016 and 2016/2017 in million British pounds. The largest source of revenue is the private and light goods taxation group which includes passenger cars and light commercial vehicles. In 2015/16 the revenue was more than 5.5 billion pounds. It decreased by around 70 million in 2016/17.